» Whatever happened to… Roque Junior? Back in March 2003 as Leeds United began to collapse under the weight of our debts, Peter Reid was brought in to steady the ship. Leeds United fans met his appointment with complete derision, but a 6-1 away win over Charlton and a 3-2 victory at home to Arsenal earned him a permanent contract for the 2003-04 season. With players starting to exit Elland Road and the club clearly in free-fall, Peter Reid was forced to utilise the loan market the next season and there was understandable excitement amongst Leeds fans when we heard a World Cup winner and Champions League finalist would be joining the squad. A master-stroke from Reid, surely? Fast forward a few months and both Peter Reid and Roque Junior had left the club, forever consigned to the ‘let’s try and forget that ever happened’ pile of ex-players and managers. Reid had lasted just eight months in charge at Elland Road, but Roque Junior’s record was even worse – just seven games, in which time the left back helped Leeds to concede 24 goals! It wasn’t all bad for Roque though; he did score twice in Leeds’ 3-2 League Cup defeat to Manchester United. Had it not been for a 117th minute goal from Eric Djemba-Djemba (so good, they had to name him twice) his stay may have been remembered more favourably. Even in the worst of times, helping Leeds to victory over the old nemesis earns you a place in hearts of the Elland Road faithful for eternity. After returning to AC Milan, Roque Junior was once again loaned out, this time to Siene as it became clear the Italian giants were looking to offload him. Bayer Leverkusen would be the Brazilian’s next stop, where he proved to be just as inconsistent managing just 35 games in three seasons. During his time in Leverkusen, Roque played his final game for Brazil leaving his collective tally of international caps at 48 with premature forced retirement coming at 29 years of age. Things only got worse for the World Cup winner too as he joined German side MSV Duisburg. He managed just four appearances in Germany before moving to Qatar to join Al Rayyan Sports Club. In Qatar, there would be just 3 further appearances for Roque, as Al Rayyan chose to loan him out to Palmeiras. That brings us to 2010. At 34 years of age, Roque Junior was being linked with the Australian A League over the summer, but chose to return home instead to play for Ituano FC. 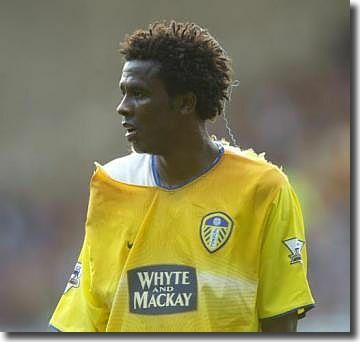 At Elland Road, Roque Junior has become the stuff of folklore, with Leeds United fans listing him amongst the worst players to have ever played in that famous white shirt. Averaging just 10 appearances a season since leaving Leeds, it seems plenty of other clubs agree.